The dive team of Scuba Hurghada teaches PADI dive courses at all levels with pleasure, from Scuba Diver to Dive Master. It doesn’t matter whether you just want to start diving or are planning to become a professional diver. Children can already start from 10 years old to participate in PADI dive courses and become certified as a PADI Junior Diver. Scuba Hurghada teaches in small groups, so you always get personalized attention and instruction to safely dive, relax and enjoy the unique experience of diving in the Red Sea. If you’re not sure if diving is for you, join us for a day to discover diving! The PADI instructor will teach you the basics of diving and then takes you one-on-one under water for a first introduction to the beautiful Red Sea! If you are enthusiastic, then you continue and participate in the PADI Open Water Diver or PADI Scuba Diver course. If you want to learn diving is the first step to the PADI Open Water Diver, the most widely recognized and respected diving certification in the world. Within a few days you with a buddy independently enjoy the underwater world to a maximum depth of 18 meters. Would you like to experience the adventure of diving but you are not sure yet whether you would want to complete the a whole dive course? Follow the Scuba Diver course, which will teach you to dive under the supervision of a PADI professional up to a maximum of 12 meters. You can continue to the PADI Open Water Diver level whenever you want! 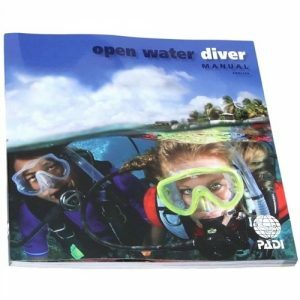 There are several ways to improve your dive skills or experience dive adventures.The most fun way is through the PADI Advanced Open Water Diver course. Gain more experience in various dive activities and follow this course (the Deep Dive and Underwater Navigation Dive are mandatory)). PADI Rescue Diver In the PADI Rescue Diver course you will expand your knowledge and experience. In this course you learn how to cope in stressful and emergency situations in the water and how to avoid these situations. To participate in this course, you must successfully complete the Emergency First Response program. Duration: 3 days + 1 day Emergency First Response training. PADI Dive Master – GO PRO! Take the next step and start your professional career as a diver. Besides the theory, we give you a hands-on training to prepare you for your work in the dive industry. Whether you are a beginner or want to expand your dive knowledge, Scuba Hurghada trains you with great pleasure! Start your dive course whenever you want! Book now at discount prices!